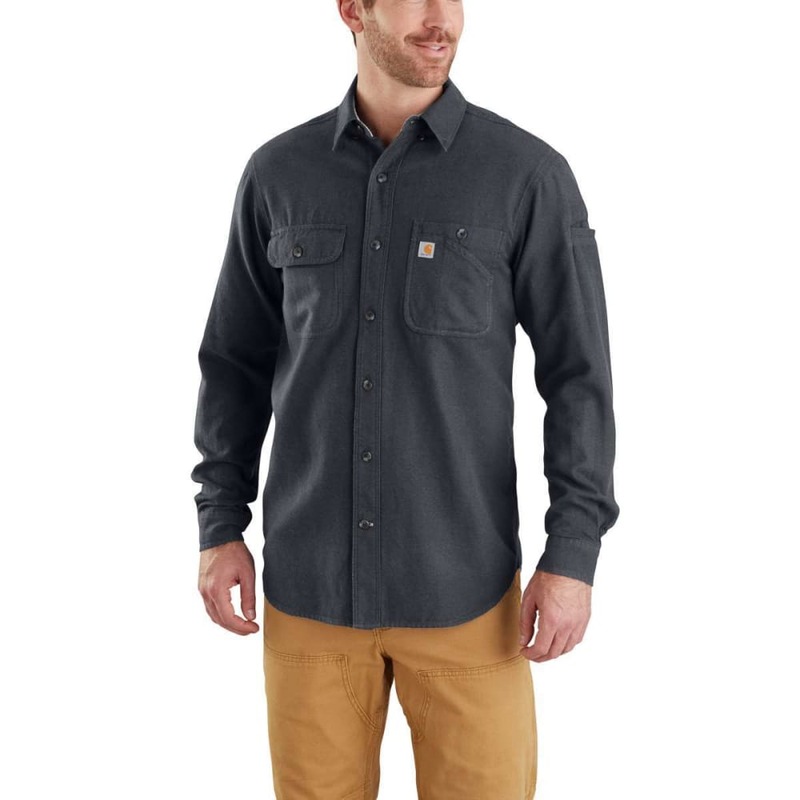 This men's shirt has the broken-in feel of a well-worn flannel right from the start. It's made of thick cotton with a relaxed fit that allows for easy layering on cold days. The flap and utility pockets give you a place to stash the small things. Plus, there's an extra drop-in pocket on the sleeve.